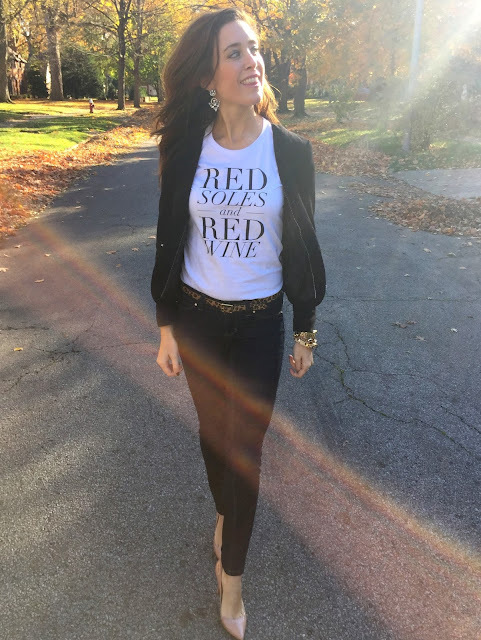 This tshirt just speaks to me.... Ha! 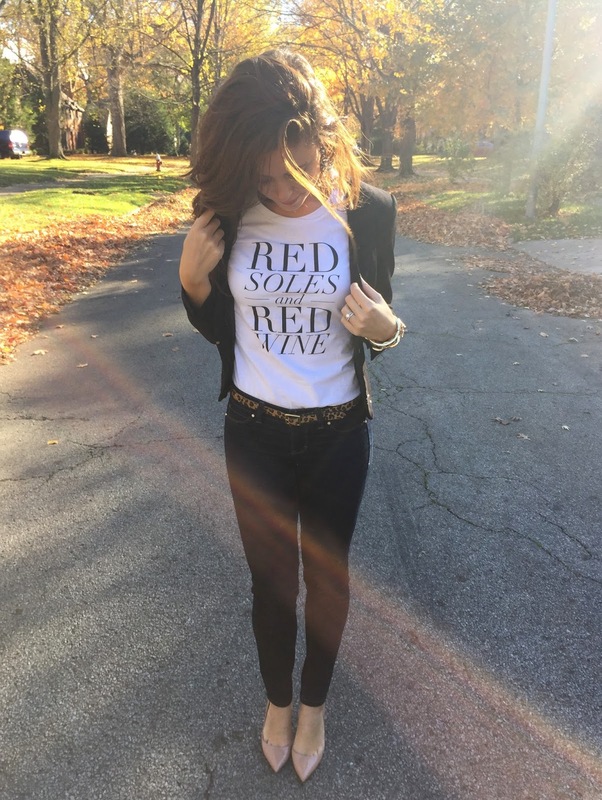 No, but seriously there's nothing this girl loves more than some red wine and some red soles! I love this tee paired with a blazer like I am wearing above, and also think it would look super cute with a midi skirt or a pair of leather pants. 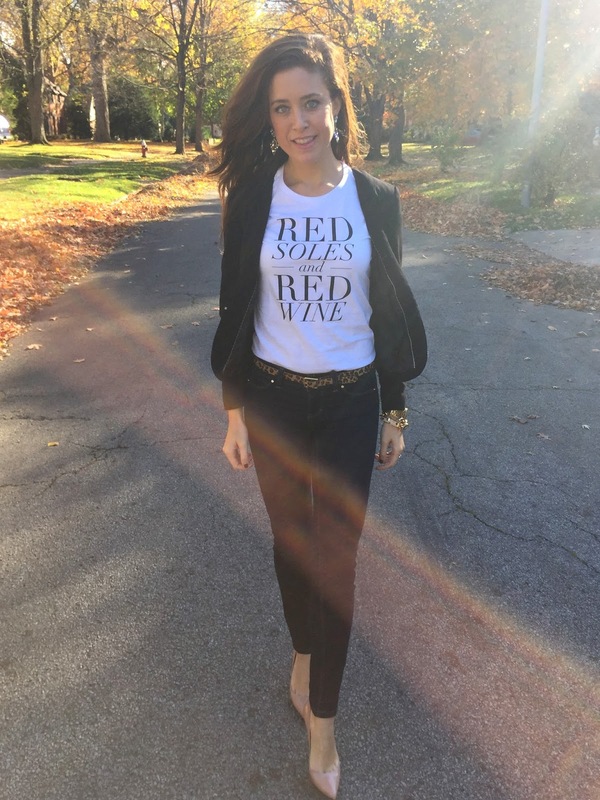 TandJDesigns is an online boutique started by two sisters who love fashion. 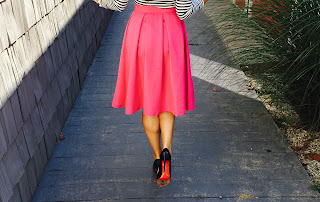 They have the cutest graphic tees, skirts, jewlery, and much more. This is the perfect online shop for holiday gifts, or for a little something cute for yourself. Gotta love businesses like this and the awesome women who create them. Happy shopping and cheers to cute clothes and girl powered businesses!